Choosing a university can be quite a personal decision for a student and shouldn’t be influenced by the choices their friends or parents make. Instead, students should consider their preferred area of study, any location they’d like to live in, their predicted grades and any confirmed grades they currently hold. These factors can be extremely helpful when it comes to deciding whether to apply to an Oxbridge University (Oxford or Cambridge) or an alternative university. Why Would Students Choose a Non-Oxbridge University? While Oxford and Cambridge may top the list of world university rankings, that doesn’t mean that they are the best universities to attend for all subject areas. Those interested in Veterinary Science, for example, are recommended to attend the Royal Veterinary College in London. There are other university groups in the UK, including the Russell Group, which focuses on research and academic achievement. Students may also consider studying abroad. Not only are a lot of the top universities located across Europe and America, but experiencing a different culture is hugely beneficial for a growing student. They’ll get to experience life in another country, try out a different lifestyle and potentially become fluent in another language – something which can also be hugely beneficial in the future. When doing research into the available educational institutions, students will want to consider the surrounding living area. While they may live on campus during the first year, they are likely to live elsewhere during their remaining years at university. This means looking at available amenities such as local shops, libraries, etc, the average cost of rent and living costs and, where possible, the level of services such as internet coverage and phone signal. Indeed, this could be a deciding factor between choosing a college in America and picking a European university. How to choose a university can vary based on what the institution can offer in the student’s chosen subject area – a certain university may not have high ratings for a subject but is still able to offer excellent research facilities for students to use. Take, for example, the Russell Group. These universities are able to share funding and together are eligible for more grants and contracts than an independent institution. 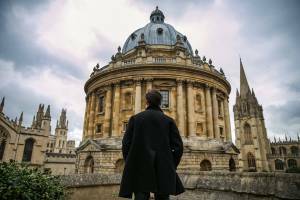 Although many are still lower down the university world rankings list than Oxford and Cambridge, students may have more opportunities in certain fields via one of the Russell Group universities than an Oxbridge establishment. Information regarding available facilities can be gathered from previous students, current faculty members and actively researching what is on offer, so make sure to ask around if you get a chance to attend an open day. Alternatively, student forums can be a great source of information for prospective students. While compiling an initial shortlist of universities, students will have access to more information regarding entry requirements expected from prospective students. Depending on predicted grades, students should have a good idea of the final results they will receive which can prove handy when picking universities. Of course, particularly dedicated students may seek to go above and beyond the expected entry requirements and seek further tutoring or extracurricular activities to boost their final grades and better their chances. This is where an education concierge service may be able to offer further services to students looking to boost their educational potential. If you have made a list of potential universities you would like to attend and are still stuck on which institution to choose, you should also consider your own personal interests. Some universities pride themselves on having a strong reputation for sport or music, while others will be closely linked to the local political scene. When a student expresses interest in seeking further education abroad, they will have a few more things to consider such as their language capabilities, location and whether they will be able to work in their country of study. Research suggests that learning a new language while immersed in the culture is the best way to become fluent. However, students will need to have a basic understanding of the language prior to starting their course, otherwise, they could fall behind in class. In addition, students should investigate the country they would like to study in, including factors like the weather, available transport and living costs. Someone who is uncomfortable in hot weather may find studying in warmer countries like Spain and Italy unbearable, leading to increased risks of students having low grades or even dropping off the course. One of the most commonly asked questions is as follows – why do students choose a university? In order to provide an answer, prospective students and their parents should enquire about previous study experiences from past students to get a better idea of the university. Deciding which university to go to will ultimately be up to the student and the university. Students can do everything in their power to get strong, favourable grades but the university still needs to accept the prospective student and issue a formal offer. Students should accumulate all their research into individual institutions and make a list of the pros and cons of each one, adding a clear marker to favourable locations which have facilities or activities that appeal directly to the student’s personal interests. At this point, it’s okay to have a few choices. When applying through the UCAS portal, students can apply for places at up to five institutions, with the exception of Oxford and Cambridge which can only be applied to once per application cycle. While prospective students should make the decision to attend a certain university by themselves, they should seek information from both current and past students and discuss options with friends and authority figures such as parents and teachers. When students hold all the relevant information, they can then make informed choices regarding their educational future.